From Utopian Teleologies to Sporadic Historiographies: “Interfaces” of Art and Cybernetics :: April 11-13, 2012 :: 39th Annual AAH Conference, University of Reading, Berkshire, United Kingdom of Great Britain and Northern Ireland :: Call for Papers — Deadline: November 12, 2012. It has been more than six decades since cybernetics was introduced to the English-speaking world by Norbert Wiener, Claude Shannon, and Warren Weaver. Stimulated by the information explosion in the 195Os, it grew as an international phenomenon that challenged disciplinary boundaries and preconceptions. Cybernetic models of “self-reproducing automata” brought about an enhanced understanding of informational and communication systems, engendered artificial intelligence and machine-biological interfaces (cyborgs), and impacted game theory. In the West, cybernetics had a lasting effect on art and popular culture from interactive art, performance, and computer art, to telematic art and American Idol. The “new science,” however, received a different reception in USSR. After its initial hostility, the Soviet government endorsed cybernetics as a panacea ensuring the rational control of a failing centralized economy. The interdisciplinary umbrella of Soviet cybernetics protected underground art — from kinetic constructions and installations, to conceptual art and performance. The session redresses a lack of attention to cybernetics globally. It invites presenters in the visual arts and from non-art disciplines to reconsider or generate new knowledge about generations and geographies of art and cybernetics, including practices that create, distribute, and theorize art forms, concepts, and histories. Papers may explore cybernetic phenomena in artistic environments; examine artistic play on logic and reason; consider how art or non-art agents treat cybernetics as a social and cultural paradigm, or question how cybernetics is presented in historiographies of recent art and what interfaces of cybernetics and art bode for intra- and inter-disciplinary research and practice. Please send your proposal to both Maia Toteva (mtt235 [at] gmail.com) and Jennifer Way (jway [at] unt.edu) by 12 November 2012. 3. CV with home and office mailing addresses, email address, and phone numbers. 4. Documentation of work when appropriate, especially for sessions in which artists might discuss their own work. We are working on publishing the session papers. AAH2013 represents the interests of an expansive art-historical community by covering all branches of its discipline/s and the range of its visual cultures. Academic sessions reflect a broad chronological range, as well as a wide geographical one. The conference addresses topics of methodological, historiographical, and interdisciplinary interest as well as ones that open up debates about the future of the discipline/s. 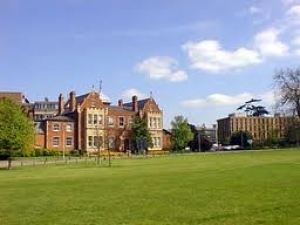 AAH2013 will take place over three days at the historic University of Reading, Berkshire.